September 26 is Mesothelioma Awareness Day. While many people know someone who has been diagnosed with cancer, few individuals know someone diagnosed with mesothelioma. Nevertheless, according to the American Cancer Society, roughly 3,000 people are diagnosed with this rare and aggressive form of cancer each year. At Ward Black Law, we have worked with hundreds of North Carolina families whose lives and loved ones have been impacted by the devastating effects of asbestos-related cancer. For more than 20 years, we have acted as a powerful voice and advocate for these victims. Our team of experienced mesothelioma attorneys know firsthand that, despite the rarity of this condition, the effects of this disease can be grievous and often deadly. An extremely aggressive form of cancer, mesothelioma develops from cells of the mesothelium, the protective lining covering several of the body’s internal organs. Most instances of mesothelioma are caused by exposure to asbestos, a strong, heat-resistant mineral once commonly used by the manufacturing and construction industry. Asbestos fibers most often enter the body through air exposure. Although many manufacturers and contractors were aware of the serious health issues associated with asbestos products as early as the 1920s, these health risks did not become public knowledge until the 1970s. 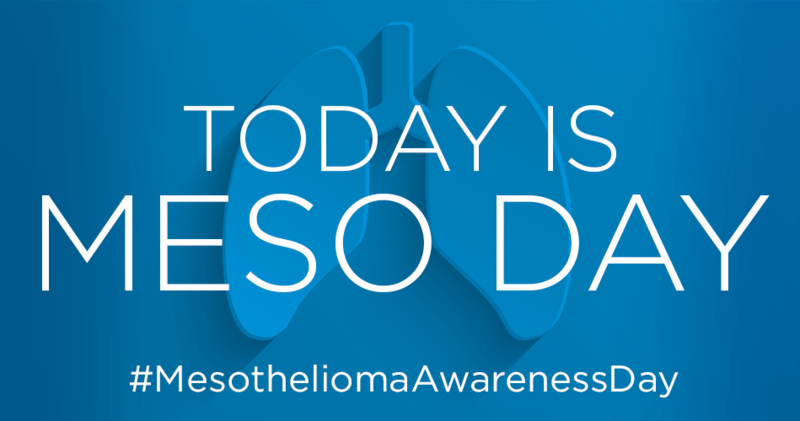 From fundraisers to media coverage, the goal of Mesothelioma Awareness Day is to bring much-needed attention and awareness to this devastating and currently incurable disease. The Mesothelioma Awareness Project began in 2004, with the help of a small group of volunteers. Thanks to Mesothelioma Awareness Day, this project has gained more momentum and drawn more support each year. However, there is still much work to be done in the search for a cure and to ensure that future victims of mesothelioma receive the best possible medical care. What can you do to help? Visit the Mesothelioma Applied Research Foundation website to learn more. If you or someone you love has been diagnosed with mesothelioma or other asbestos-related disease, you will need a powerful advocate on your side to get the peace of mind and justice you deserve. However, the law limits the time within which you may pursue legal action. The team of experienced mesothelioma lawyers at Ward Black Law have successfully represented more than 1,000 people with mesothelioma or other asbestos-related diseases. Many of these individuals worked in power plants and other industrial and residential sights across North and South Carolina. Our N.C. mesothelioma lawyers have more than 20 years’ experience getting compensation for people with mesothelioma or other asbestos-related diseases. If you have been exposed to asbestos at work or at home or have been diagnosed with mesothelioma, our mesothelioma lawyers are standing by at (336) 333-2244 to provide you with a free consultation. You may also contact us via email or online inquiry form.